BUSY SEASON Because the Lythgoes started their theatrical company before they even started dating, working together has itself become one of their holiday traditions. Even though “all of our Christmases have been pretty haphazard and crazy,” as Becky puts it, “we do try to get as much celebration in as possible,” Kris says. Photo by Daniel Deitch. Entering their second year as residents, the Lythgoes are settling into the community, finding favorite restaurants — they list Kabosu, Prosecco, Ca’ Del Sole, the Smoke House, Bob’s Big Boy, Spin the Bottle and Sweetsalt as top picks — attending the Garry Marshall Theatre and enjoying the Toluca Lake Tennis Club. They’re also embracing Toluca Lake’s traditions, especially when it comes to the holidays. 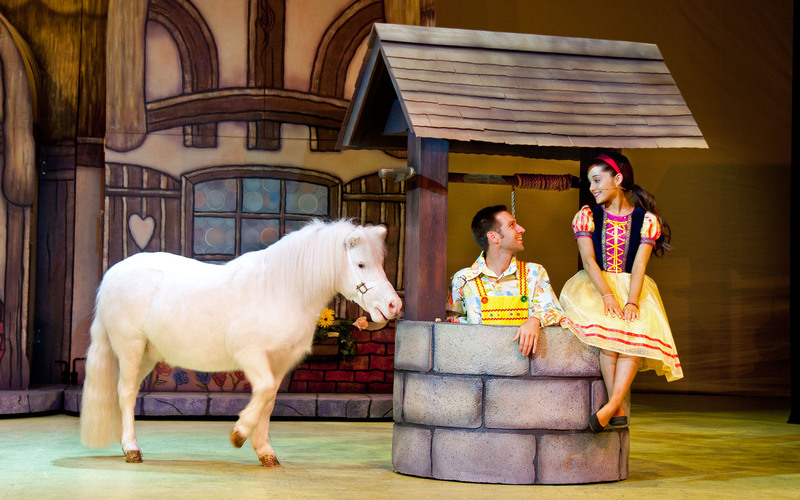 PONY TALE Blitzen, Jonathan Meza and Ariana Grande in the Lythgoes’ 2012 production of A Snow White Christmas at the Pasadena Playhouse. Photo by Philicia Endelman. As creative, theatrical entertainers (they even had a murder-mystery-themed wedding), the Lythgoes were happy to take part in the fun, buying “tons of decorations” at Cinema Secrets and opening their doors for a big annual Halloween party complete with a performer from the Magic Castle (where they’re members, of course). The pair have shared one particular English holiday custom since they first met, and for the past eight years they’ve dedicated themselves to celebrating it on a grand scale — the 300-year-old theatrical form known as panto. These lively fairy tales featuring music, jokes, exaggerated characters and audience participation are performed at nearly every British theater, large or small, during the Christmas season. PIRATE PANTO John O’Hurley as Captain Hook in the Lythgoes’ 2015 production of Peter Pan and Tinker Bell: A Pirates Christmas. Photo by Philicia Endelman. In 2010, the newly formed Lythgoe Family Panto organization staged a production of the Cinderella story at the El Portal Theatre in North Hollywood. The show was enthusiastically received and became an annual December event, moving to increasingly larger venues in Pasadena and expanding to additional cities. Jonah Platt and Kelli Berglund in the Lythgoes’ 2017 production of Beauty and the Beast: A Christmas Rose. Photo by Philicia Endelman. What hasn’t changed is the focus on drawing kids (as well as parents who aren’t habitual playgoers) to theater. 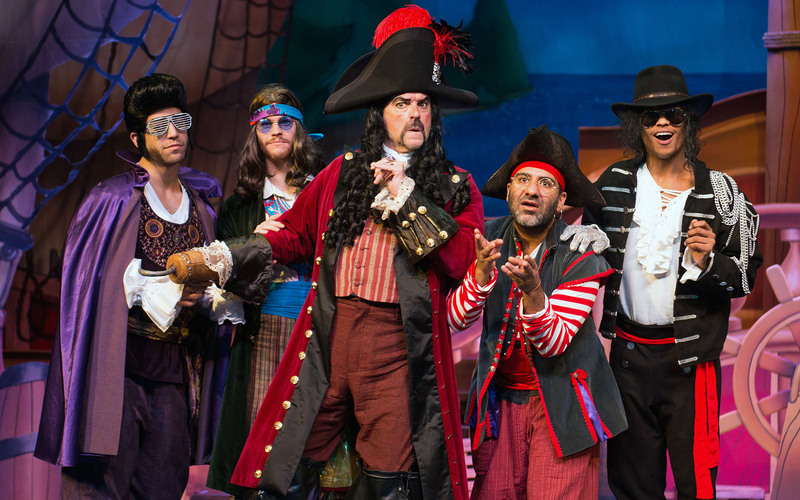 The plays not only encourage boisterous young audiences to boo the villains and cheer on the heroes, but they also include roles for nonprofessional local child performers. In addition, they offer free matinees for students from local schools. 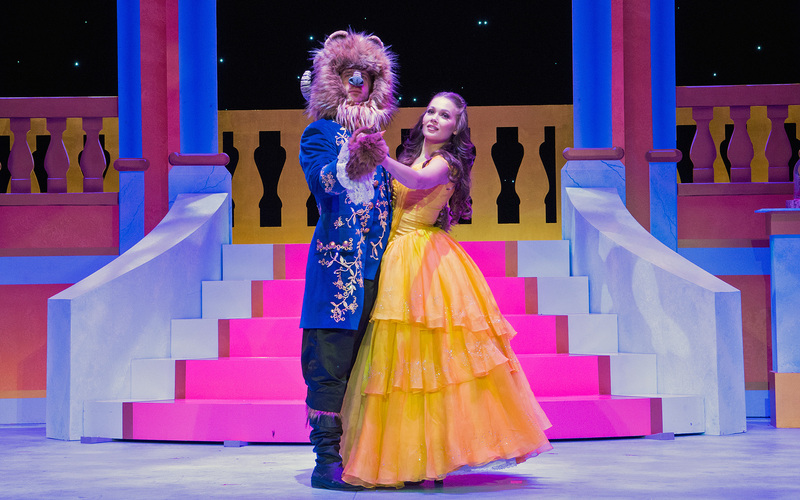 “Last year, 7,000 kids across the country saw the shows for free, and we hope that they see their peers onstage and say, ‘I want to do that!’ and it inspires them to go into the arts,” Kris says. A SUPERSTAR, IN THE FELT The Lythgoes say most people who hear that Kermit the Frog is starring in their upcoming show can’t quite wrap their heads around the idea. “People keep saying, ‘So is it a hologram? Is it a video?’” Becky says. 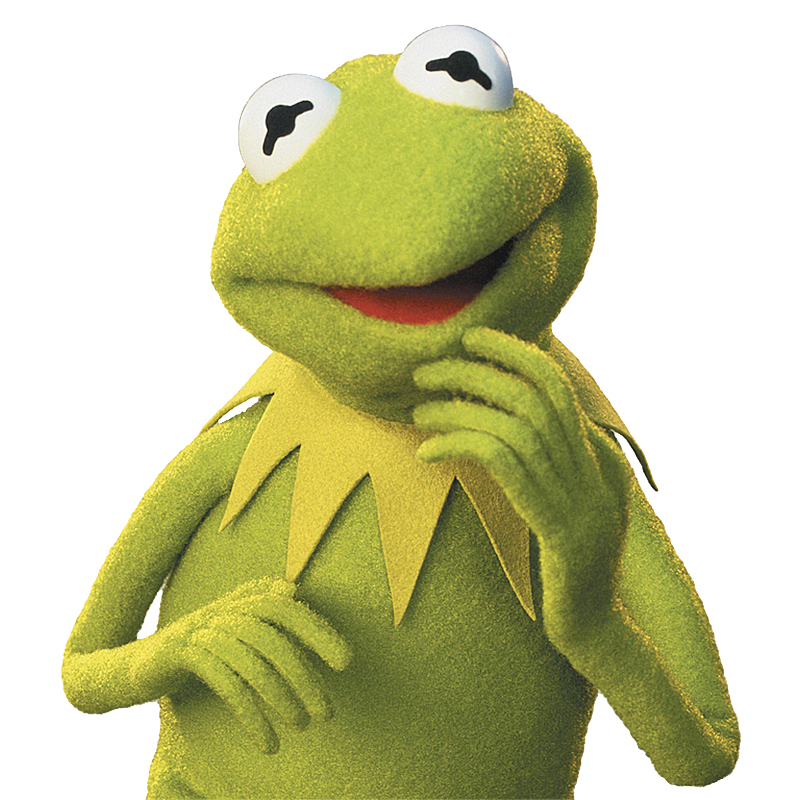 Kris makes it clear: “There’s one Kermit in the world, and he is coming to Pasadena.” And what’s the famous frog like in person? “He’s not demanding at all.” Photo © Disney. Not only do the worlds of the Muppets and Oz make an apt pairing (in the panto’s version, Kermit is the reason why everything is green in the Emerald City), but it’s a natural fit for the format, Kris says. “Puppetry is another aspect of panto that we’ve never really explored and one I’ve always wanted to. So for me to work with the Muppets is just a dream come true.” His mother recently gave him a gift as a symbol of that dream: a watch Jim Henson presented to his father as a thank-you about 40 years ago. “It was broken, and she secretly went off and got it fixed and gave it to me. It was amazing,” he says.